A stiff Achilles tendon has been identified for the first time as a cause of why diabetics can find it difficult and more tiring to walk - potentially leading to decreased mobility and more complications. 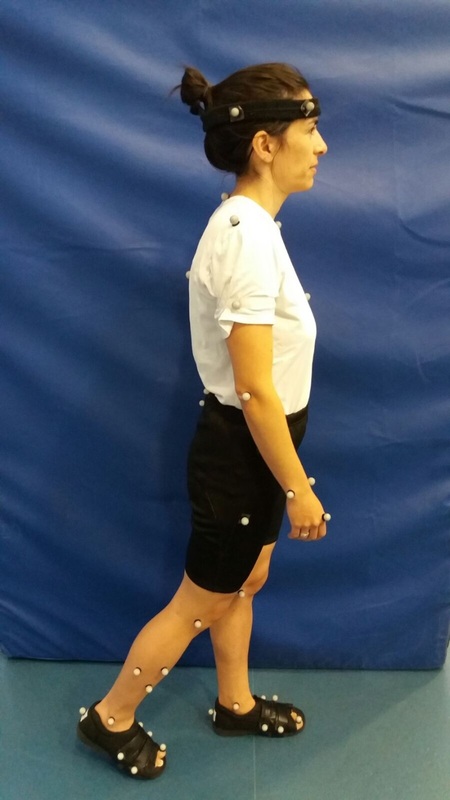 Academics at Manchester Metropolitan University understood from previous work that people with diabetes require more effort while walking, and sought to pinpoint the origin of the movement difficulty. The observations in the study, led by Professor Neil Reeves, Professor of Musculoskeletal Biomechanics and Director of its Research Centre for Musculoskeletal Science and Sports Medicine, suggest pharmaceutical or physical activity interventions could be used to counteract the effects. Normally the Achilles tendon at the back of the heel stores up and releases large amounts of elastic energy with each step forward and in doing so takes work off the calf muscles, making the striding motion more efficient. But the Manchester Metropolitan University research, published in the Journal of Applied Physiology, shows diabetics experience more stiffness in the Achilles tendon and a more limited range of movement in the ankle joint. In order to compensate, their calf muscle has to expend more energy and therefore the action of walking requires more exertion, leading to quicker fatigue and tiredness. Professor Reeves said: “We already knew, from the literature, that people with diabetes walk less and find physical activity more difficult - and we are now proposing the higher energy cost as one of the main causes. “Our study has shown for the first time that during walking the Achilles tendon does not stretch and recoil in people in diabetes as much as in those without diabetes. We can now propose to do something about it through interventions that might decrease the stiffness of the Achilles tendon. This might be drug therapies, or physical activity interventions. Professor Reeves and colleagues analysed under laboratory conditions the walking motion of more than 50 study volunteers and measured how much the Achilles tendon elongated. The group included people without diabetes and diabetics with and without peripheral neuropathy, a type of nerve damage that affects up to 68 per cent of diabetics. Sufferers may experience symptoms such as weakness, numbness and pain in the hands and feet, potentially making walking and controlling balance more difficult. The study found that both diabetics with and without peripheral neuropathy exhibited stiffer and less stretchy Achilles tendons and consequently expended more energy while walking. However the effect was considerably more severe in those diabetics with peripheral neuropathy than those without. Professor Reeves said: “From our previous research, we can estimate that the energy cost of walking is between 15 to 20 per cent higher in people with diabetic peripheral neuropathy compared to people without diabetes. “Being less able to utilise stored energy in the tendon, and the related higher physical cost of walking, may lead to decreased mobility and an increased risk of diabetes complications. “We can now propose to do something about it through interventions that might decrease the stiffness of the Achilles tendon. The findings of the Manchester Metropolitan University study were published in a paper in the February edition of the Journal of Applied Physiology.